Madan pin brushes are lightweight, have ergonomically designed handle with an anti-slip grip, and are made to last. Madan brushes are constructed with a patented design to prevent the pins from pushing in or pulling out. As a result, you get pin brushes for dogs with no sunken pins. Due to the special design, rubber base remains solidly attached to Madan pin brushes. 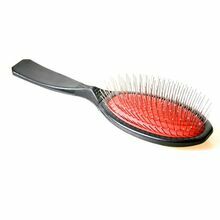 Bodies of these pet brushes are made of special thermoplastic polymer material with silicon rubber, creating dog grooming brush with superior strength, rigidity, hardness and toughness. 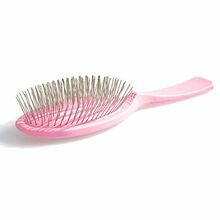 The handle of Madan pin brushes follows a Kinesiology design to prevent groomer's fatigue and professional damage. 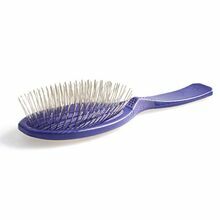 Madan pin brushes are one of the best dog brushes for pet grooming. 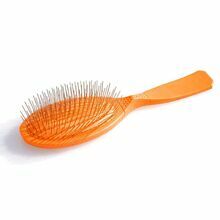 We are UK supplier with many pet brushes for dogs in stock.